Services | TS Stone Inc. 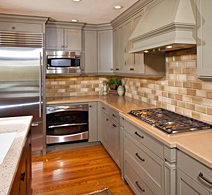 Kitchen granite and marble countertops remain one of the toughest, most sophisticated choices in the market. The beauty and durability of granite natural stone increases the resale value of your home while providing you an exquisite workspace in your kitchen. Ceramic and porcelain tile is the most durable flooring and facing material available. We offer a wide range of flooring options to suit your needs while enhancing your environment. 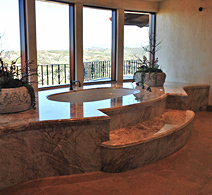 We can give your tub or shower a distinctive edge that is both beautiful and functional. 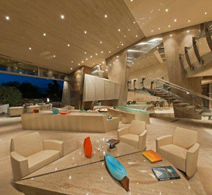 We offer the highest quality granite and marble products available. 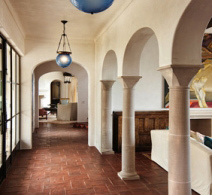 Most natural stone tile can be used for interior or exterior projects. Its strong and resilient qualities makes it perfect for outdoor fireplaces, outdoor patios, swimming pools, or interior floors in heavy traffic areas. TS Stone Inc. offers stone cleaning, polishing, sealing, and stain removing services which enable your stone and tile to continue looking new. Over time all natural stones will become scratched or damaged which is why proper maintenance is required to keep your installations looking new. At TS Stone Inc., we can make your stone look great and keep it looking that way. Call or email TS Stone Inc. for more information about our maintenance services.